ECLA starts new elective - English in the City! ECLA starts new elective – English in the City! Two weeks ago, EC Los Angeles rolled out its newest elective – English in the City! In this course taught by two of our wonderful teachers, Ama and Charlene, students learn the practical English knowledge needed to navigate Los Angeles. In this course, students study the different parts of English, from grammar and vocabulary to speaking, reading and presentation skills, all through the context of Los Angeles history. 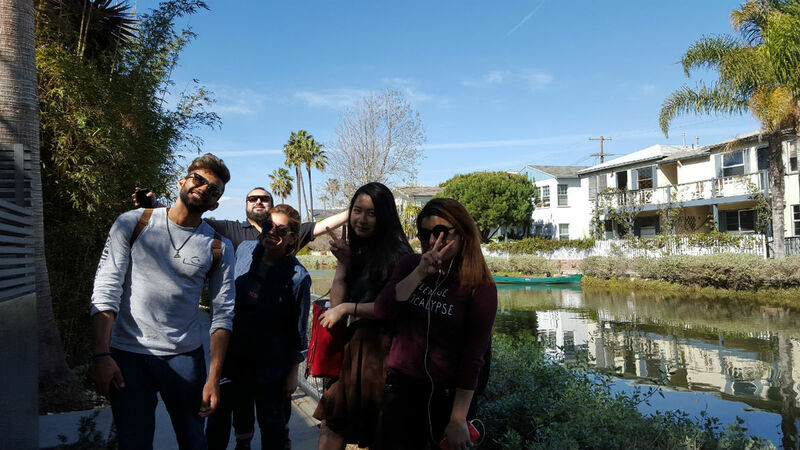 Each week ends with an excursion to a famous place in Los Angeles Country, where students can apply the knowledge they gained through out the week in a practical way. 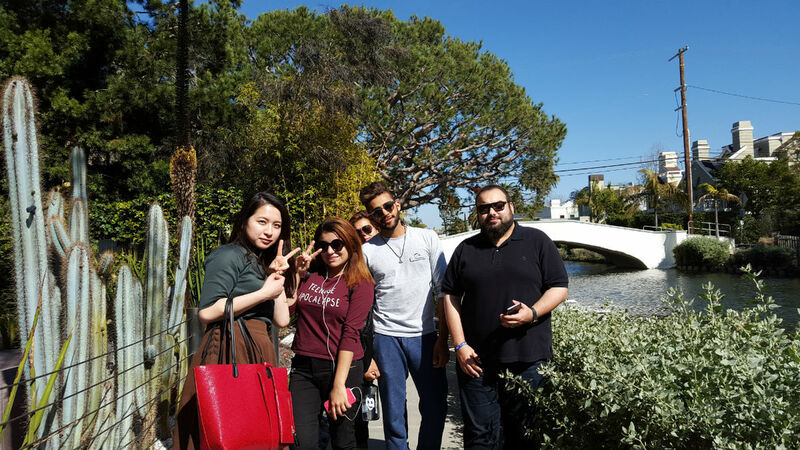 On Friday of the first weeks, MWF Ama took her students to visit the Venice Canals. 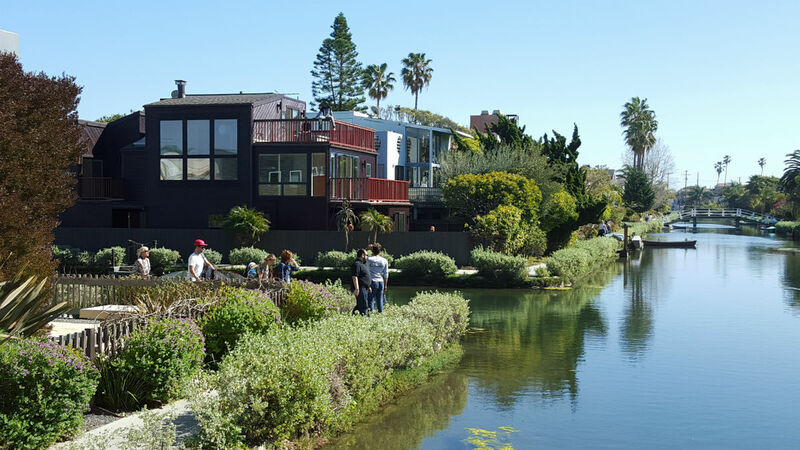 Decades ago, this area was know as “The Venice of America”, and was created by a man named Abbot Kinney. If you walk around Venice now, you’ll find a long street full of interesting shops and restaurants named after him! Take a look at some of the pictures from the trip! 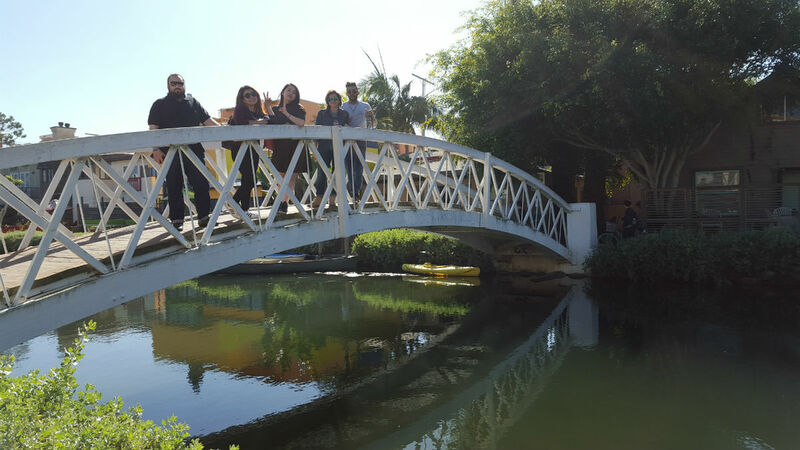 English in the City students visiting the Venice Canals! Homes in this area are right against the water! Residents can use canoes and sail down the water! You can cross the water by using one of the many bridges! Come visit the EC Los Angeles English Center today!